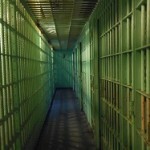 We occasionally hear of cases where accused persons are being held without bail. If the Constitution of the United States provides for the right to bail, how is it that bail is denied in some instances? Here we discuss a few of the many layers that are involved in the bail process and several factors that often influence how bail is decided. When a judge is deciding how to set bail for someone accused of a crime, many factors surrounding the person and the nature of their charges are examined. If releasing the accused person will present a safety threat to the community, denying bail is especially considered. The chances that the person may flee the area to avoid trial is also highly considered. The accused person’s mental and financial state, drug and alcohol use, their prior criminal history, ties to family and the community, the seriousness of the charges, and more are also examined when setting bail. If you or a loved one needs bail in Austin fast, call the professionals at ATX Bail Bonds at 512-834-2245. We post many types of bonds – any price, any time! We are available 24/7 to help you when you need it most.